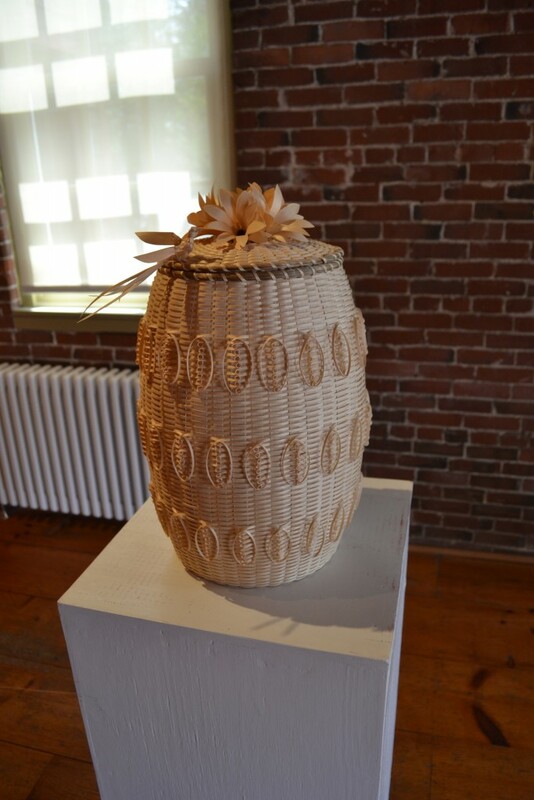 Housed in what was once a 1840s bank, the Maine Fiberarts gallery in Topsham forms a beautiful setting for their current exhibition, “Maine Indian Basketry,” supported by the MHC through an Arts & Humanities grant and a Community Outreach grant. 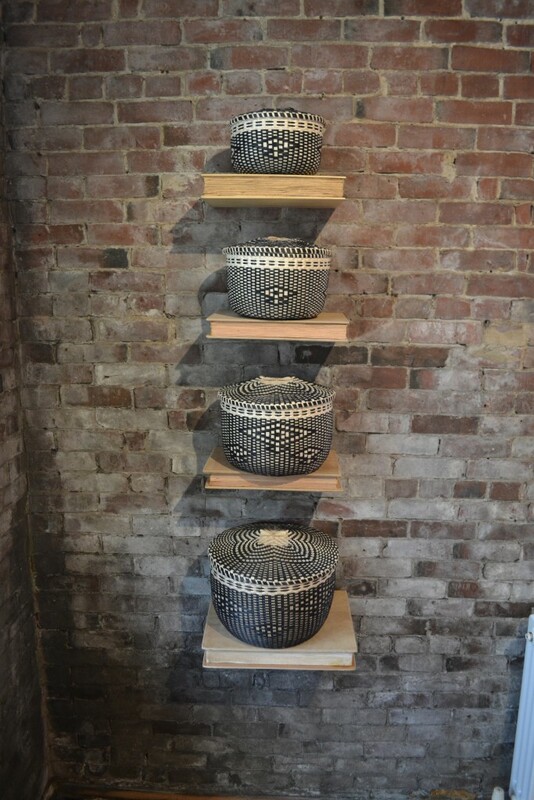 Executive Director Christine Macchi described this exhibition as a departure from the usual fiber artwork on display at Maine Fiberarts, focusing on Wabanaki basket makers, whose work is little known in southern Maine. Yet these artists are recognized and appreciated across the country, their work selling at fairs as far away as Arizona. Macchi hopes this exhibition will increase Maine’s awareness of the breathtaking work that Wabanaki basket makers are producing. It includes pieces from the Passamaquoddy, Maliseet, Micmac, and Penobscot tribes. 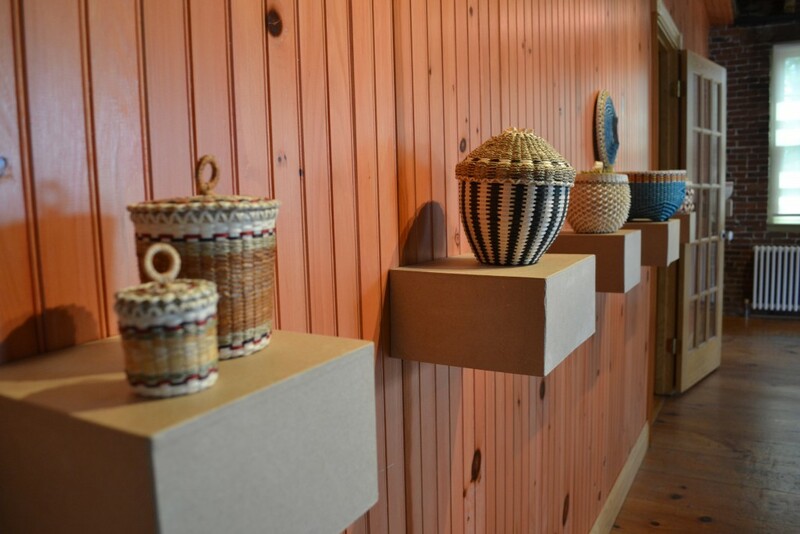 The exhibition, curated by a committee led by Penobscot basket maker Theresa Secord and advised by Gretchen Faulkner of the Hudson Museum, draws in work from private collections, active artists, and work available at such locations as the Abbe Museum and Home and Away Gallery. The pieces range in age, shape, size, and functionality, including wedding baskets, work baskets, pin cushions, and decorative items such as brightly-colored ears of corn. 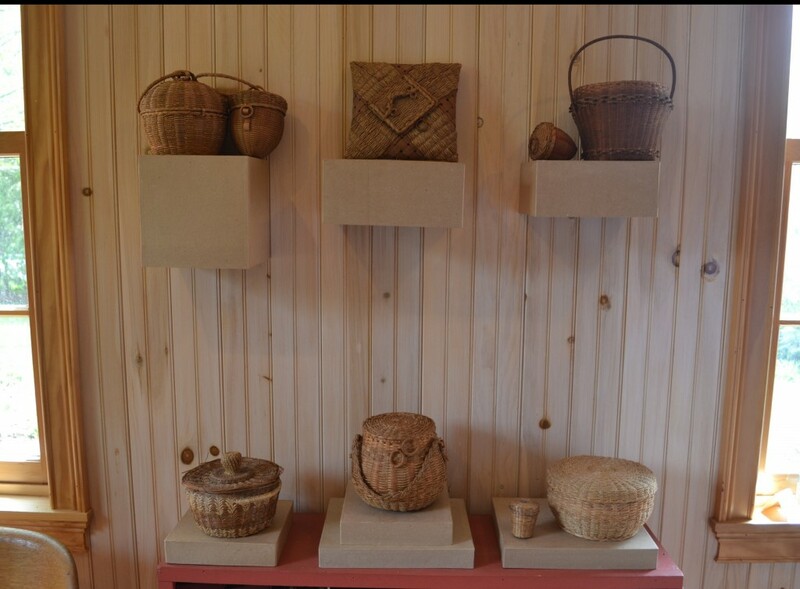 Most of the baskets were created entirely out of brown ash and braided sweetgrass. Some artists start their work from the actual tree—painstakingly planing the wood into thin, perfect strips. The amount of time and skill that goes into a single basket is remarkable. See a preview of the exhibition or learn more about special events at www.mainefiberarts.org or visit the gallery at 13 Main Street in Topsham. Maine Fiberarts is open Tuesday-Friday, 10 am to 4 pm; Saturdays, 11 pm to 2 pm.